Kelly’s passion is working with young children to foster creativity in the preschool and home environment. With three degrees from the University of Colorado- Anthropology, Art History and a Masters in Education, she has been blessed to collaborate with educators at the forefront of early childhood development. 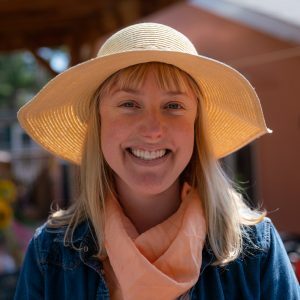 Kelly’s biggest wish is to inspire and sustain children’s sense of wonder and imagination, to provide a nurturing environment rich with communal artistic expression and an abundance of connective time in nature. When Kelly is not in the classroom, you might spot her biking along the Boulder creek, reading a good book under the shade of a tree, water-coloring a scene from nature, or crafting her next weaving project!